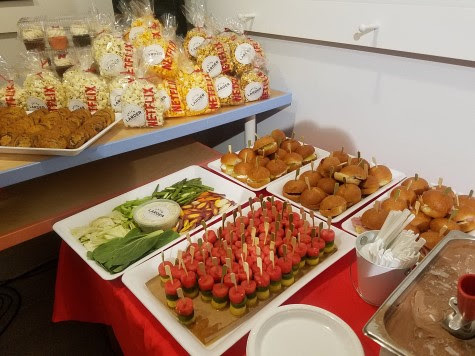 To get a first hand experience, we attended a #StreamTeam event at Stories Bookshop in Brooklyn, which was a great spot. 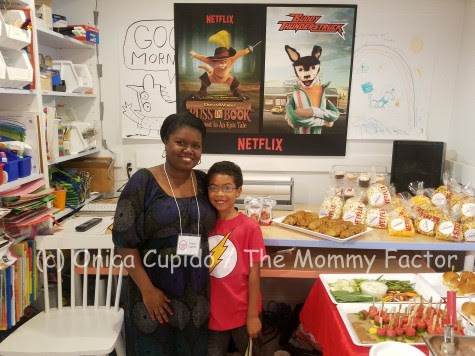 The bookshop had a nice back room where families could enjoyed snacks before getting comfortable to watch the new Netflix kids interactive episodes. The kids immediately started to get into the story-lines of the stories. Then when they had the option to chose what happened next, they really became excited. As a parent, I LOVED this new interactive feature. It allows kids to be engaged instead of just "watching". Also it enhances and allows kids to explore the story using different options for what can happen next. 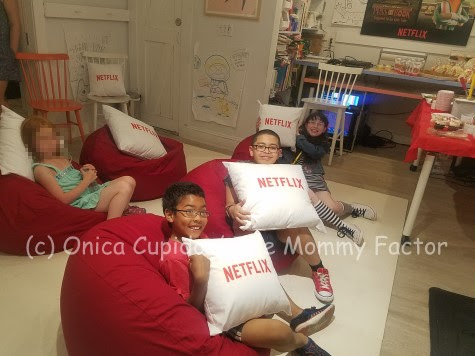 My son and the other Netflix kids enjoyed trying out this new interactive storytelling and I know other families will also. Learn more about this new Netflix feature by watching this video. Imagine Choose Your Own Adventure books intertwined with internet television. The viewer gets to decide where to take the story next. With Puss in Book: Trapped in an Epic Tale, the boundaries of traditional storytelling are being pushed with the opportunity to create adventures for Puss and his friends in San Lorenzo. 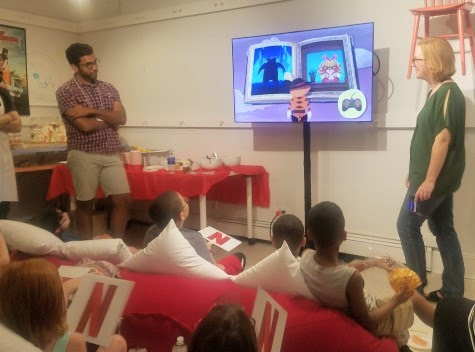 This stand alone episode presents various choice points to viewers, granting children complete creative control over some of their favorite DreamWorks characters. When Puss is sucked into a magical book of fairytales, he must get to “the end” of all the stories in order to escape. But the dastardly and mysterious Storyteller tries his best to make Puss’s journey difficult, using Puss’s friends as fairytale characters and offering him (and viewers) a series of choices that dictate the direction of the story. The viewer must eventually choose between two main storylines – Sinbad the pirate and the Evil Queen – that lead Puss through different adventures and ultimately two distinct endings to his story. As you can see Puss in Book: Trapped in an Epic Tale will be a treat for your family to enjoy. Start watching it now!